Foulsham is a large, handsome village, and the tower of its massive 15th century Perpendicular church is a landmark for miles around. Much of the village was destroyed in a disastrous fire in the 1770s, but it is not without interest. Johnny Cash fans will be disappointed to learn that there is no prison, nor, indeed, any railway track to hear that train a-comin' along, but just to the south of the main part of the village, on the road to Guist, is this impressive little chapel. The grey stucco is, perhaps, unfortunate; Pevsner tells us that it is brick underneath, but the casement doorway is imposing, and in case you had any doubt as to the function there is a gaily painted banner above. 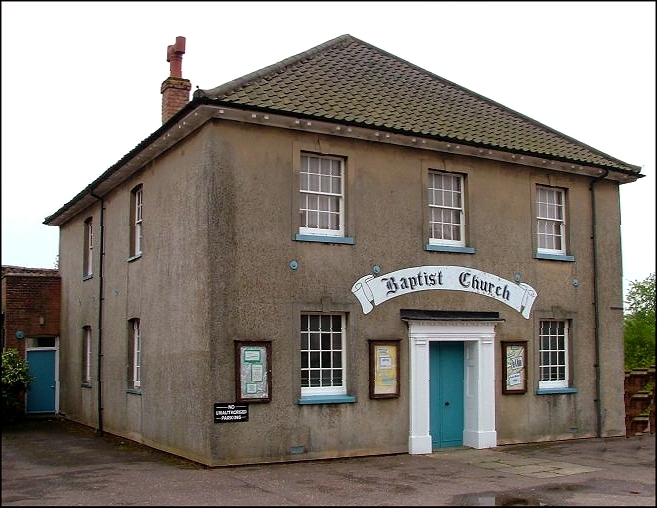 Johnny Cash himself, of course, was a Baptist, once his hell-raising days were over, but I don't suppose he ever knew about this Norfolk village that shared a name with his most famous song. Oh well. 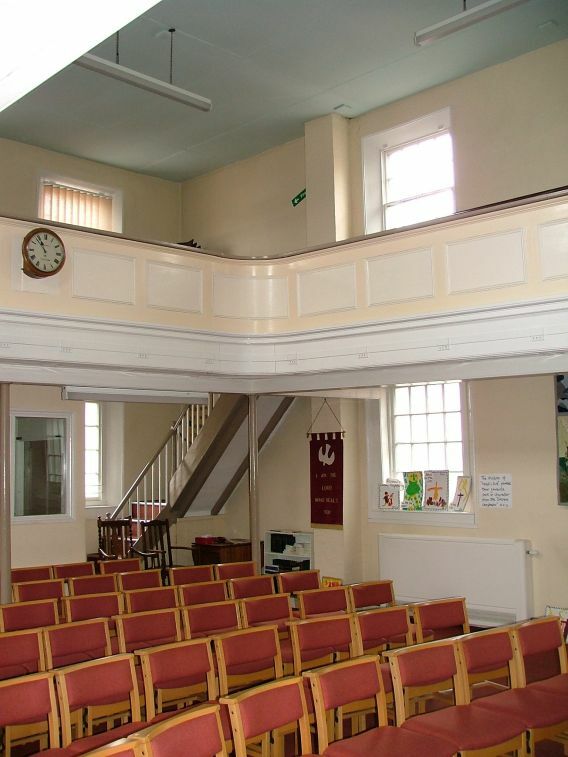 The date of the chapel is 1826, and I was rather hoping that it would retain its original furnishings, as this would be a rare date, but they have been gone these twenty years or more. 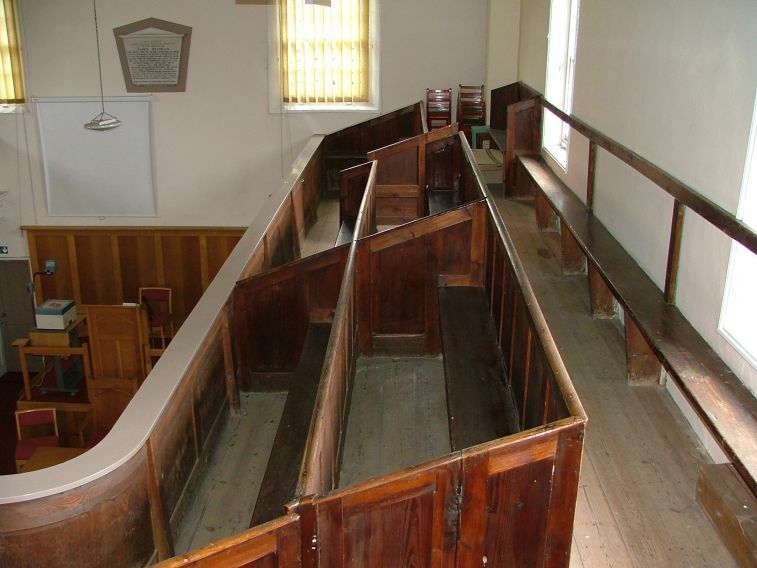 Still remaining are the pretty balconies in white-painted wood, although the actual pews in the balcony are unpainted. I wondered what the seating below had been like. 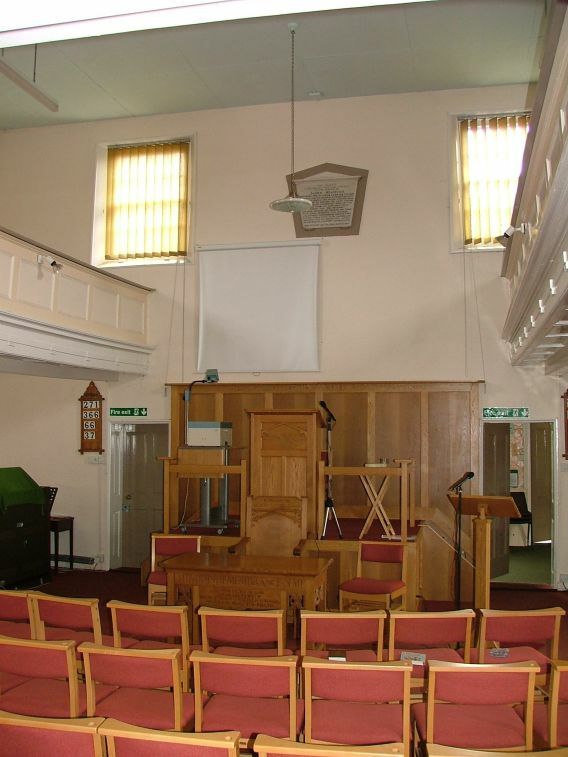 It would have been interesting to know, but all the same this is a very pleasing, harmonious interior, and you can't blame them for wanting to make it more comfortable - after all, the Baptist tradition is a growth area in English Christianity. 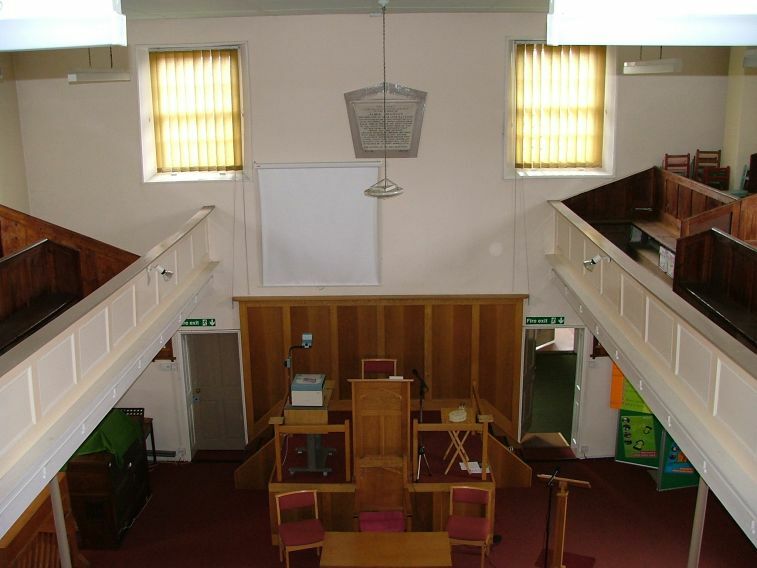 At the back of the building are Victorian schoolrooms, pleasantly converted into meeting and office space. 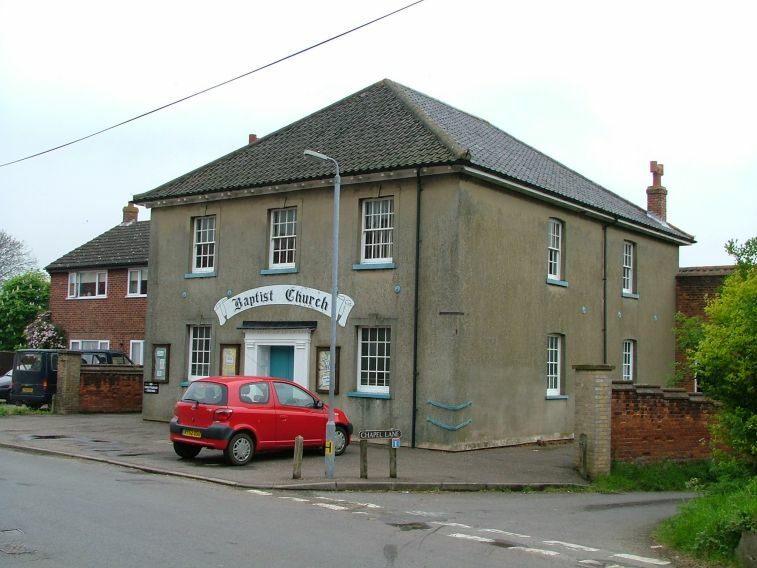 At one time, there were stables as at Carleton Rode Baptist church, but these were demolished for the new areas. 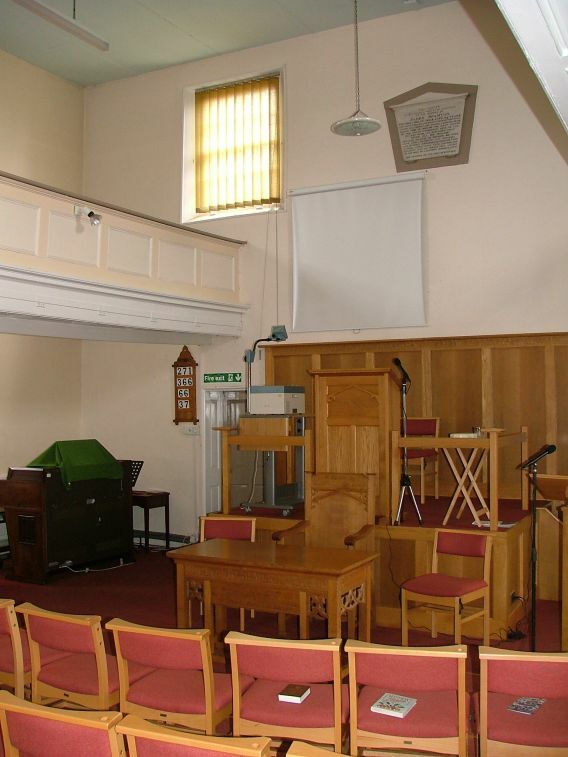 All in all, a pleasing little chapel, and it looks fit for the future.